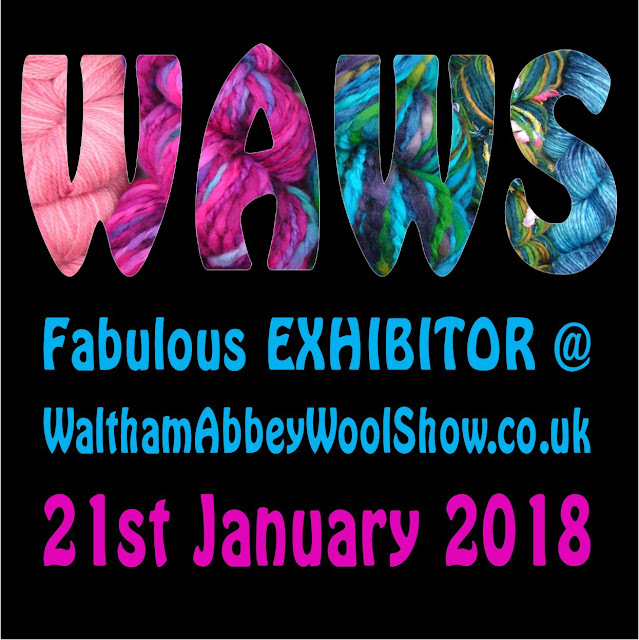 I'm really excited to have been accepted as an exhibitor at the fabulous Waltham Abbey Wool Show. It's a show that I've wanted to do for ages. Happily we're on board for this year's Waltham Abbey Wool Show, which will take place at the Marriott Hotel, Waltham Abbey, EN9 3LX (junction 26 of the M25) on Sunday 21st January from 10:00 a.m. to 4 p.m. I am happy for you! Hope it is all you expect it to be and more! Thanks for letting your customers know about 2018 Waltham Abbey Wool Show. We are looking forward to welcoming you as a first time exhibitor and hope you have a fun and successful day!